dedicated to the artist which took place in Florence in October and November 2010. Two years ago I reconnected with Lucio Pozzi in the process of regenerating New Observations magazine, an artist run non-profit art journal, which published 128 issues from 1981-2001. Lucio was the founder and then ongoing contributor when Diane Karp came to reinvigorate and publish the magazine for 14 years until it went into hibernation in 2001. I art directed the magazine for a decade from 1991-2001. Before that I met Lucio as an MFA student at the School of Visual Arts and soon after began working at 142 Greene Street in Soho on his extensive “bio” which I recently found on his website at an astounding 77 pages. The third and most recent incarnation of New Observations is another story in progress. Erika Knerr: So as not to delay the project with too much forethought on my part, let’s just begin with where we are right now. 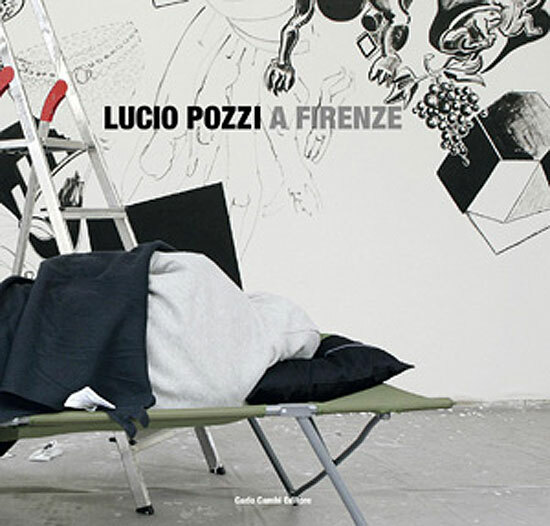 I see there is a book coming out soon titled “Lucio Pozzi in Florence.” Is the book about your current exhibition “Endless” at the Gallery Frittelli Arte Contemporanea, that shows many of the diverse “families” of work you have cycled through? I am also quite interested in hearing about the recent “paintaction” (I Like Painting and Painting Likes Me). Was this painting performance a part of your Exhibition? Lucio Pozzi: The two were separate events linked by time and city and organized by the same gallery Frittelli Arte Contemporanea. The documentation about both is included in one book to be published on December 15, 2010. The presentation of this book and of a DVD of my lecture “the Next 475 Years Of My Art And Life” in English is taking place at the Museo Marino Marini. On that occasion there is an informal hanging of large “Crowd Group” works on paper in that museum for a few days. I feel it as a kind of miracle that so many of my ways of art are being presented concurrently and especially that the stress is on painting. EK: Yes, it has always been striking to me that all or most of your art activities have a dialogue with painting. The miracle you are feeling about this coming together creates a unique opportunity to see the whole artist, rather than one fragment or one part of the whole. Although, I know you see each piece, as it’s own “situation,” it feels important that all of these scores have been brought together. I am imagining many families coming together as a community. Have you encountered any surprises in observing this? LP: In Florence many people appreciated seeing a whole group of my works from different families together. 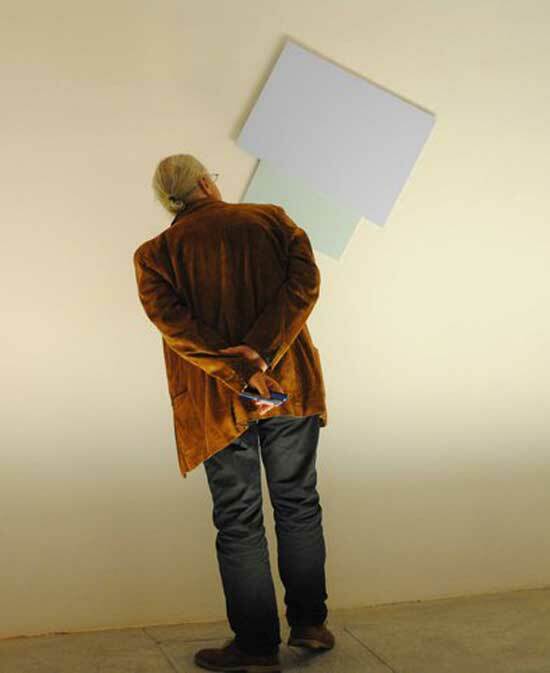 The curator, Pier Luigi Tazzi, was the person who could link the works by osmosis rather than by linear sense. 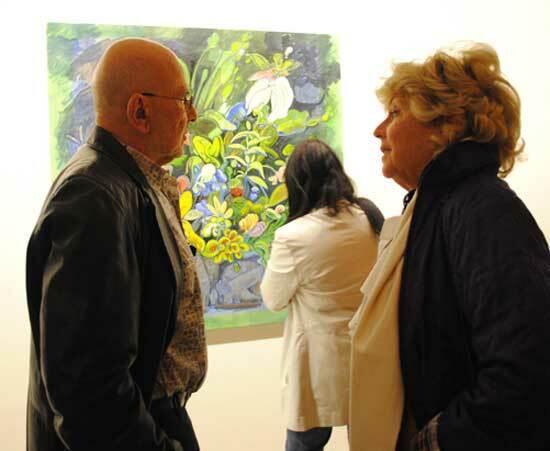 He even put some Flower Paintings there, and viewers felt nonetheless that the show was one whole universe. The conflict between parts and whole is an open question of this epoch, in which art’s purpose and criteria are not agreed upon. LP: The TUTTIPOZZI title was copied from the title of an article by Bill Zimmer in the SOHO Weekly News of 1980. He was playing a pun on the TUTTIFRUTTI name of a common ice cream. EK: It is interesting that you work in families. LP: Pier Luigi Tazzi, , the curator of my Florence events, noted the similarity between my method and the connotation of Fractal Theory. You will read his comments in the upcoming book about me. LP: The definition and classification of my art is a business that will be better taken care of as time passes. For me so far some distinctions are merely instrumental for orientation’s sake. My underlying aim is to “GET OUT OF THE CENTURY” and it’s pedantic, suffocating exclusions that are still current in the art world. PAINTING IS THE MATRIX. It extends farther and farther until the end of time. EK: I was provoking you by labeling your performance work as Intermedia, referencing this Fluxus concept. It is curious how one wants to define and classify things and the difficulty to allow something or someone to exist in itself outside of time and definition. Of course there are those that pride themselves and function quite well in a group. The collaborative aspect of performance art is something I have become involved in over the past few years. Many collaborative groups co-authoring works have emerged in the last decade. But this is different than an individual artist being sorted into categories for market consumption. There are many artists today moving freely between mediums, as you do, but your vehemence toward painting is epic and incisive at once. LP: Painting: It’s worth considering that I and others stress painting as a matrix of our work. For me it is a passion and guideline and symbol of life itself, for others it is the only activity they care do devote their life to. But there is no need for it. I approach it as a readymade. It comes to me after having terminated it’s traditional functions. I even paint on canvas stretched on rectangular wooden stretcher, functionally an obsolete informational technique. This ineffectiveness enriches it. No other technique or realm carries within it the conditions of thought and practice painting contains. Then, in order to understand and feel it even better not only from inside but also from outside, I started very early to explore painting also where it apparently is not. This exploratory manner of mine, which implies avoidance of packaged definition has led my work to be often excluded from limited-scope surveys such as ‘abstract art’, ‘representational art’, performance, site determined art. I find this delicious. 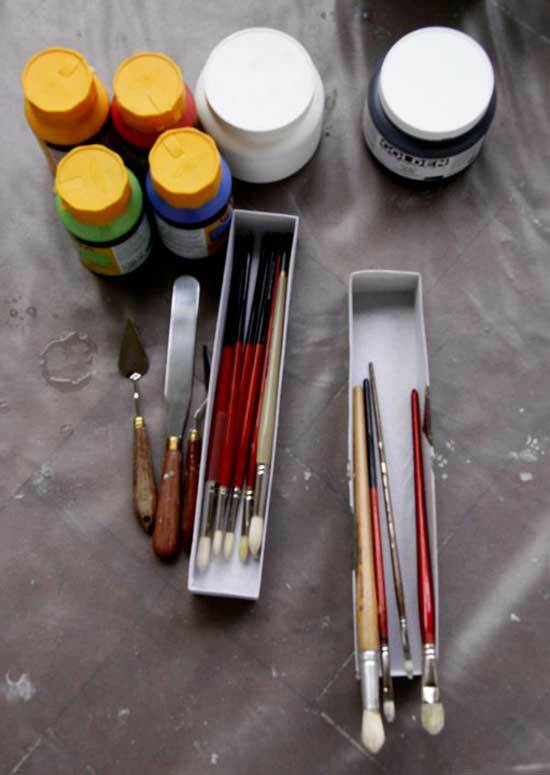 Materials and tools at the Paintaction. EK: I had the great pleasure to see you perform your lecture “The Next 475 Years” in New York last November at SVA. I had seen it the first time in 1988, when I was an MFA student there. Where was the lecture done on the new DVD? LP: In both English and Italian versions, at the Frittelli Gallery a couple of years ago. EK: You have done this lecture for almost 30 years. Can you talk about how this began and how it has changed? LP: It started at Hunter College and was long, people fell asleep. Having noted from, for instance, Andrei Voznesensky’s public enunciation of his poems that in a public speech the form of delivery is as communicative as it’s content, I proceeded to theatricalize my lecture. The basic concepts and slides are still the same but I every time re-invent what I talk about updating it to whatever context has evolved in my experience. EK: There was an issue of New Observations Magazine published in 1983 with the same name. LP: That issue contained actually a short free-association story, which the Frittelli Gallery might re-publish soon. It had nothing to do with the Lecturaction, but perhaps was at the origin of the title. EK: Did this precede the “Lecturaction”? EK: Where did this title come from? LP: The title refers to several layers of considerations about this juncture in art history and my own attitude in it. One of these is my feeling that what we call art implies a projection towards an impossible future. Lacking any agreed-upon purpose, art contributes a testimony of the crucial importance of un-necessary speculations exploring the “deeper potentialities of life” (Walter Gropius). I tried, but can’t recollect how I settled on the numeral 475. It might just have been a sign of my extreme yearning to transcend the cage of time. Rather than lamenting the end of civilization and projecting my attention towards a utopian future or a nostalgic past, my response to the fragmentation and discontinuity of my culture is to be in the present moment as much as I can. The invention of art, in my bias, does not presuppose explanations, while, on the other hand, interpretations of it dialogue with the art as creative acts in their own right. I hope that interpretations of art are always to a degree besides the point, i.e. so intensely within themselves that they correspond with the art more than they respond to it. Lucio Pozzi was born in 1935 in Milan, Italy. After living a few years in Rome, where he studied architecture, he came to the United States in 1962, as a guest of the Harvard International Summer Seminar. He then settled in New York and took US citizenship. He now shares his time between his Hudson (NY) and Valeggio (Verona) studios. 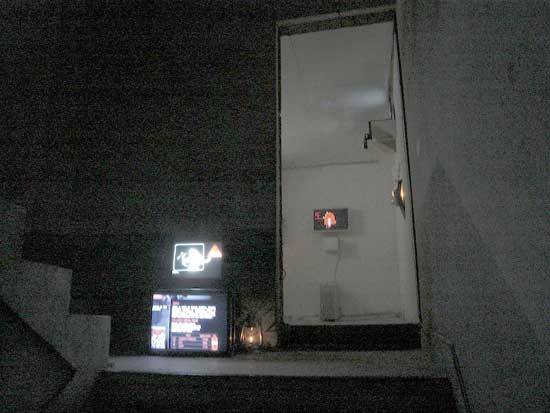 In 1978 the Museum of Modern Art, New York, exhibited his early videotapes in one of the first single-artist exhibitions of the Projects:Video series. He occasionally writes and has taught at the Cooper Union, Yale Graduate Sculpture Program, Princeton University and the Maryland Institute of Art. 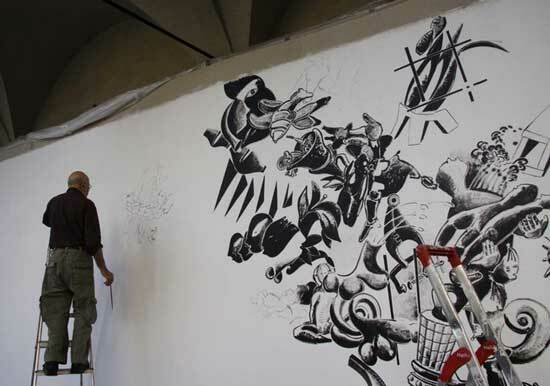 He currently is an instructor at the MFA and BFA programs of the School of Visual Arts, in New York. His teaching is another way for him to question and probe the fabric of modern art making, in a subtle, individual, case by case dialogue, a capillary manner of guerrilla infiltration instead of shouting sensational slogans. His art is represented in the collections of The New York Public Library; The Detroit Institute of Arts, Detroit; The Museum of Modern Art, New York; The Whitney Museum of American Art, New York; The Museum of Contemporary Art, Chicago; The Art Gallery of Ontario, Toronto; The Fogg Museum, Cambridge Mass. 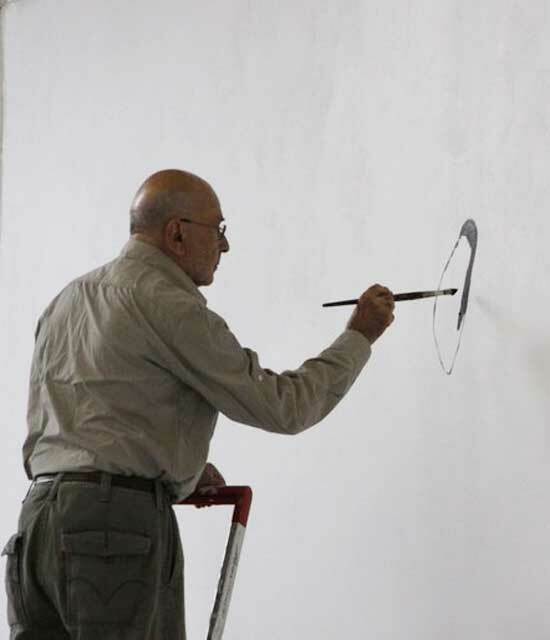 ; Centro per l’Arte Contemporanea Luigi Pecci, Prato, Italy; Giuseppe Panza Di Biumo, Lugano, Switzerland; Herbert and Dorothy Vogel, New York; PS1 Contemporary Art Center, New York; Museum of New Art, Detroit, MI. ; Zimmerli Art Museum, New Brunswick, NJ. ; Kalamazoo Institute of Arts, MI; Hartford Atheneum, Hartford, CT; Marzona sculpture park, Italy; Portofino Sculpture Museum, Italy; Museo de Bellas Artes, Buenos Aires, University of California Art Museum (Berkeley), Miami Art Museum, Miami, Florida; Collezione Maramotti, Reggio Emilia, Italy; Fondazione Cariverona, Verona, Italy, and in various private and corporate collections. 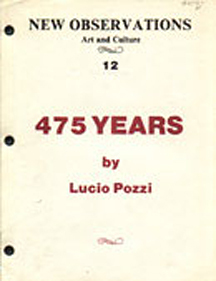 Pozzi was honored with a National Endowment for the Arts Fellowship in 1983. He received a Master Honoris Causa from the Accademia di Verona, Italy, in 2010. Retrospectives of his art were held at Kunsthalle Bielefeld (1982) and Badischer Kunstverein, Karlsruhe (1983), Germany, and at the Museum of New Art (2001), Detroit, MI, Kalamazoo Institute of Art, Michigan (2002); Works on Paper, Mus. Contemp. Art, Genova Italy, 2005. 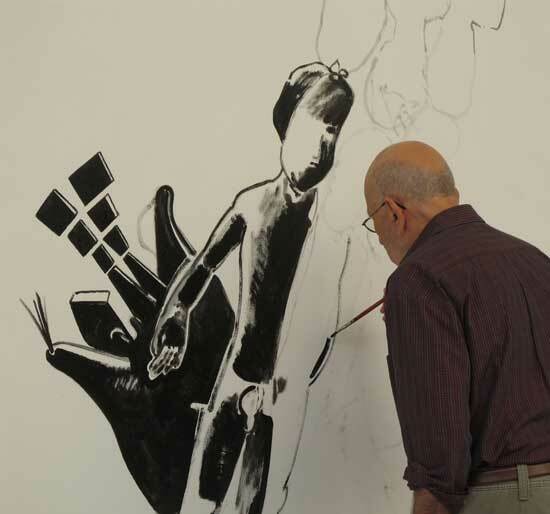 His work has been presented at Documenta 6 (1977) and at the Venice Biennale (American Pavilion) in 1980. 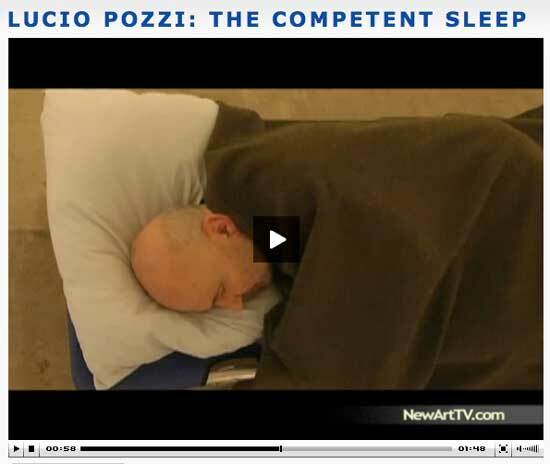 Lucio Pozzi is the Founder of New Observations Magazine and still serves on its Board. Pier Luigi Tazzi (Capalle, Italy / Bangkok, Thailand) is an independent art critic and curator based in both Florence and Bangkok. Formerly a lecturer at the University of Florence, he has contributed to Artforum, Kunst & Museumjournaal, and Wolkenkratzer. Tazzi was a curator at the 43rd Venice Biennale (1988) and was associate director of documenta 9 (1992). Significant exhibitions include Wounds: Between Democracy and Redemption in Contemporary Art (1998), Moderna Museet, Stockholm; Happiness: A Survival Guide for Art and Life (2003-2004), Mori Art Museum, Tokyo, (both co-curated with David Elliott); and the 1st Aichi Triennale (2010). 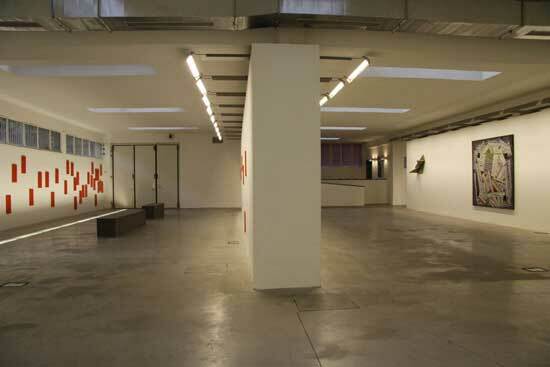 Gallery Frittelli Arte Contemporanea is a contemporary art gallery in Florence, Italy. Carlo and Simone Frittelli opened new spaces in via Val di Marina 15 in Florence with the help of architect, Adolfo Natalini, thus continuing the experience that began in 1990 in the Centro d’arte Spaziotempo near S. Croce, in the heart of the city, transferring the new gallery to the North, near the airport. Erika Knerr is a painter working in Western Massachusetts and New York. 1. Gropius , Walter. Scope of Total Architecture, New York: Collier Books (1962). 2. New Observations magazine, Issue #48, May, 1987. DAIMON, edited by Lucio Pozzi. Lucio Pozzi, Muddening Clarity, 1985. 3. New Observations magazine, Issue #113, 1996. Ripple Effects: Painting and Language, guest edited by Susan Bee and Mira Schor. Lucio Pozzi, “Word Works,”. This ‘beyond’ from which the face comes and that sets consciousness in its rectitude, is it not in turn an unveiled understood idea? Stepping into the Second Order (http://www.secondorder.kr/) exhibition at Space Hamilton, Seoul (http://spacehamilton.com/), one is struck by the fact that one is not in a gallery-it is, as its name invokes, a space. Here, one can all too easily hear notions of the openness needed for though, action even; extending perhaps to calls for interventions. And there is nothing at Space Hamilton itself to deny that gesture-walking in during a freezing Wednesday evening, 8 December, 2010, one is hit with a final frontier of sorts. This physical discomfort though pales in comparison with the encounter that Baruch Gottlieb opens with his work i-Mine: it is a drop into a cold, yet invigorating, stream of Kierkegaardian absurdity.2 In adopting, naming, and being, an avatar whose sole role is to mine for minerals fast enough to keep overall prices down, whilst slow enough for them to maintain a minimal level, one also has to contend with a soldier that is awaiting any opportunity to steal from you, and who inevitable shoots you-one cannot win at this game; one can only stay alive, awhile longer. This is a game-there are exact rules to staying alive-where death confronts you, is staring at you, is always already with you; perhaps only not just yet. 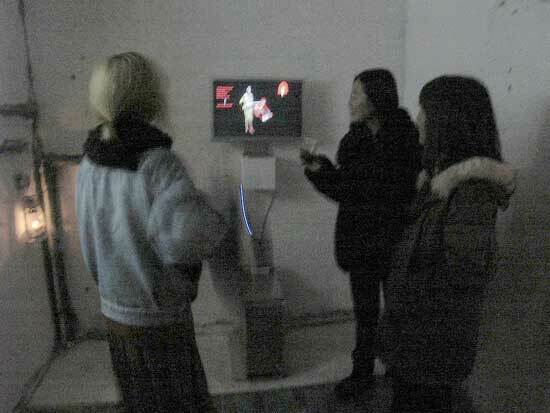 A question that Gottlieb faced throughout the opening, and later at a dialogue session on Saturday, 11 December, was whether a game, at an exhibition at that, was an appropriate venue for a meditation on the death, and life-hours, of people that are inscribed in all technology. Perhaps here, if we listen carefully, we can hear Lenin’s eternal question echoing in the background: that of “what is to be done?” After all, a question of relevance is almost always also a question of ‘what can we do about it; how can we change the situation’. And like any self respecting artist, Gottlieb is holding up a mirror to society, and thus in a way is also bringing down the question on himself. To compound matters, by using technology to open his quest, Gottlieb exposes himself, opens his self to the scrutiny of those very same questions. However, what we must never forget is the notion of the quest in question-it is constantly moving, searching, probing, opening. In this way, perhaps what is to be done is precisely what is done-there are no prescriptions here. All we can do is attempt to hear; listen. By exposing himself, his self, Gottlieb and his quest will always be haunted by this question. 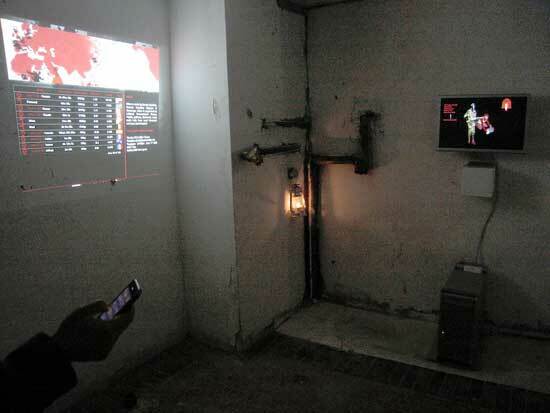 This is especially true as he positions this piece as part of a larger work which intends, attempts, to trace, and document, the echoes of human lives in all devices. And since a project of this magnitude can only be approached through computers, computing-and ultimately a calculating formula-the question of context, and whether natural lives and deaths can be thought through an artificial medium, resounds loudly. But in this quest, we must not make the mistake of paying too much attention to the question; we must not allow the question to take over the quest. For, in every question, there is always already an echo of the meta hodos-the path over which we attempt to travel. It is not a random searching though: there is a method, a way, a strategy, even though the ending is never known, perhaps until, or even after, it arrives. Hence, even as we quest, even in an attempt to respond to the question, we must never allow the question to determine the end-a teleology-of the quest. Thus, in some way, this question, like all questions, completely misses the point. One can only attempt to respond to the other, to the other in her full otherness, whilst maintaining a gap, a space between one’s self and her. Otherwise, all one is doing is subsuming her under one’s self, consuming her-otherwise one is calling her i-mine. In order that the other remains fully other, one has to gaze at her, look even, but never claim to have seen her-her face must always already be veiled from us. The other must remain distant, foreign, unfamiliar-artificial. And what better way to foreground this artificiality than at an exhibition-made even more disconcerting by the fact that the exploitation of human lives for mobile phones is played out on a mobile phone, by everyone who has one sitting snugly in their pocket, or bag. Faced with that level of absurdity, it is all too tempting to echo Lear and tear out one’s hair in the storm. But that would be too easy, too convenient-a disavowal through excess, a momentarily release through madness. What Gottlieb’s i-Mine forces us to confront is far worse. Violence, death, blood, is a very part of our existence, is what our lives-and the way we live-depend on. We can no longer complain about the barbaric sacrifices of the Aztecs so that the sun may rise again-at least they knew her name, her face, her story. All we are doing is offering deaths blindly, indiscriminately, randomly. This is not a sacrifice-there is no longer a God. We would like to think that we have come far. The shiny objects that we use in our daily lives help with this illusion. Gottlieb shows us that all we are doing is hiding behind a screen. Jeremy Fernando is the Jean Baudrillard Fellow at the European Graduate School. He works in the intersections of literature, philosophy, and the media; and is the author of Reflections on (T)error, Reading Blindly, and The Suicide Bomber; and her gift of death. Exploring other media has brought him to film, music, and art; and his work has been shown in Seoul, Vienna, Singapore, and Hong Kong. He is the editor of thematic magazine One Imperative; and is also a Research Fellow at the Centre for Liberal Arts & Social Sciences, Nanyang Technological University. 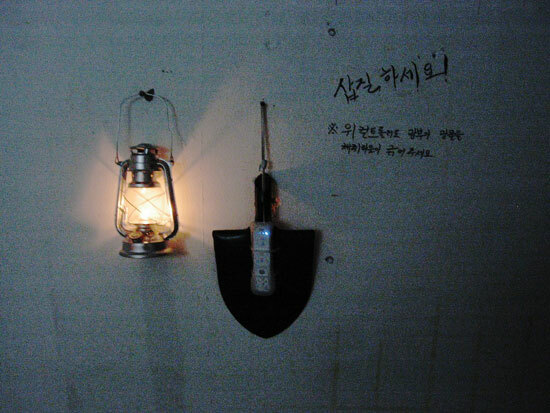 2 One would expect the buzz from being awarded Design Capital of the World, 2010, to set Seoul’s art scene alight. Instead, one is confronted with a certain coldness, detachment, aloofness. But if we take into consideration the fact that what is foregrounded is creative production, then even as much as the claim is for diversity, culture, and design, this is always already a teleological premise; one directed towards performativity, productivity, product. And this is precisely why Gottlieb’s work is startling. For, even though it takes place in, and through, the medium of a mobile phone, it calls the very medium itself into question: a question that the quest for industrial design would like to leave veiled.